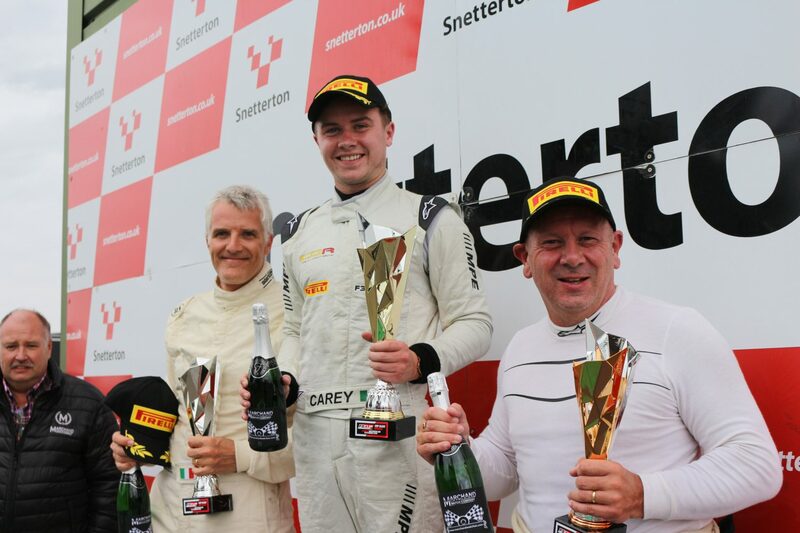 Cian Carey took his fifth and sixth win of the season with another devastating double for Chris Dittmann Racing in the F3 Cup at Snetterton this weekend (11-12 August). 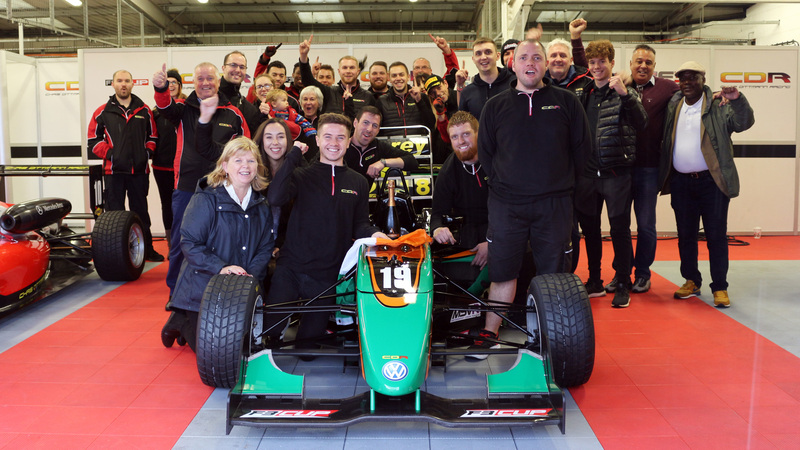 The Irish driver took two victories – including a hard-earned nail-biter in the final race – as well as a third place finish, to extend his lead at the top of the Championship. Meanwhile, Phillip and Patrick Jeans and Baptiste Leonard, all continued to improve as the weekend progressed to cement their Top 10 positions overall. 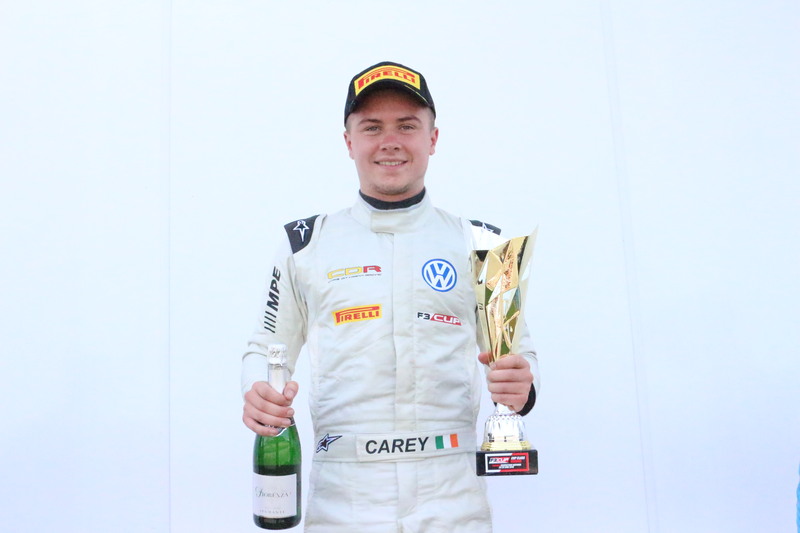 But it was Carey who caught the eye once again with some brilliant driving that signalled his intention to remain at the top of the standings. 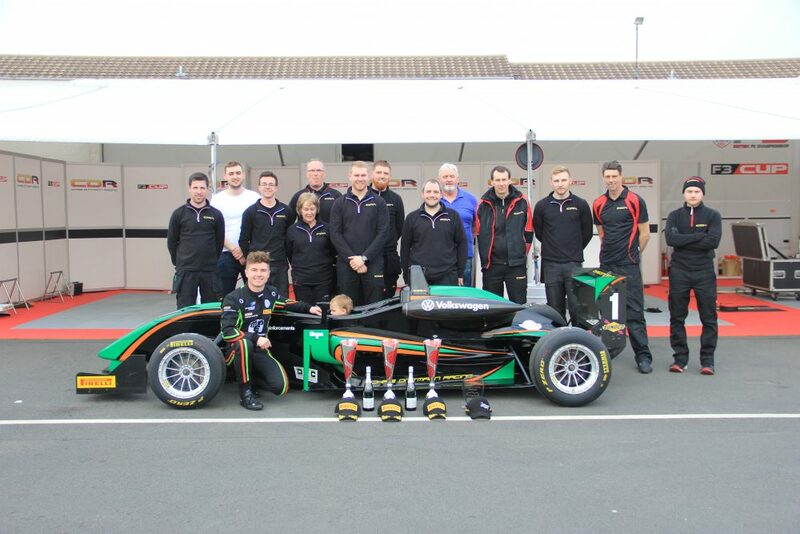 Team principal Chris Dittmann said: “It was another brilliant weekend for the team. 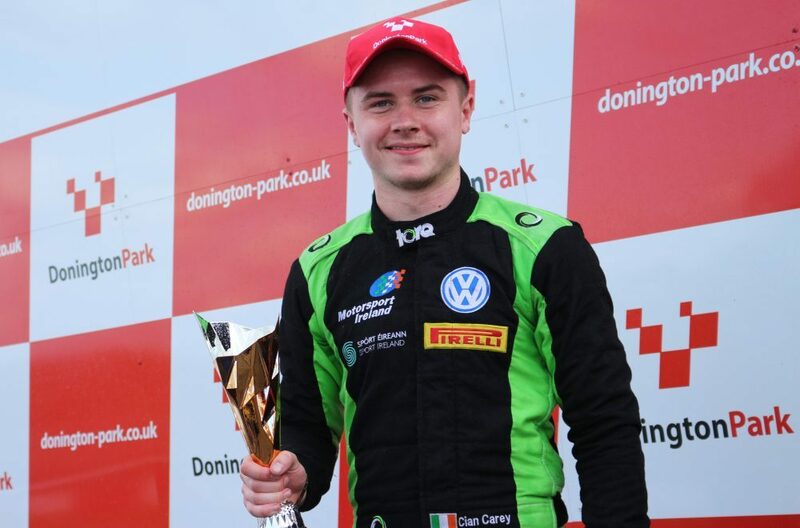 We knew it was going to be tough here for Cian as he hadn’t spent any time on the circuit and it was his least favourite one, so we weren’t expecting two wins and another podium! “But that’s six wins this season and at least a podium on every race weekend, which shows his consistency. 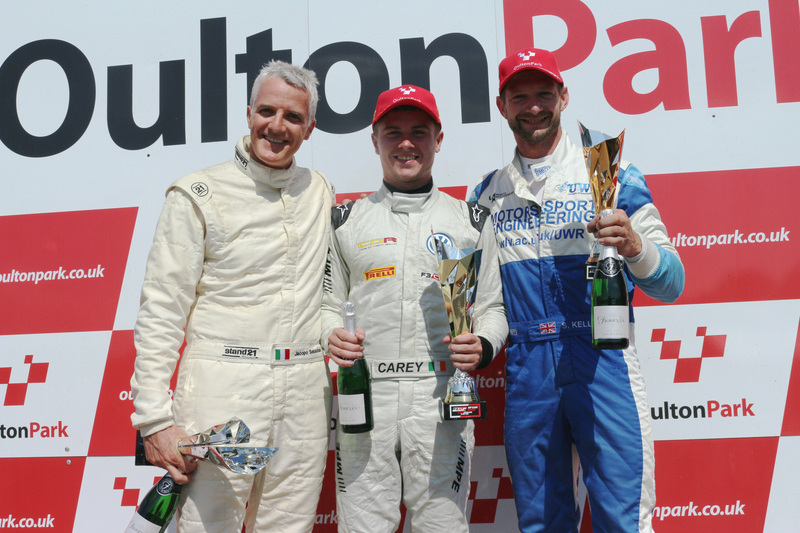 “The final race was a great battle, but Cian used all his know-how and experience to take the win in the end. “The early part of the weekend was interrupted by rain which made qualifying very difficult for everyone. 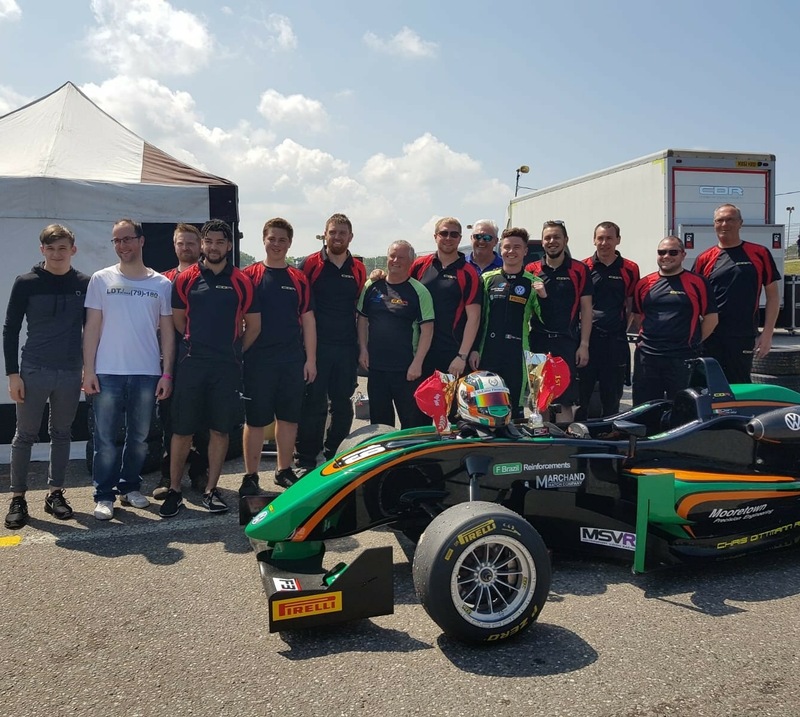 Chris Dittmann Racing’s team of Cian Carey, Phillip and Patrick Jeans and Baptiste Leonard, were in a confident mood after Cian took a double pole, before a victory and a podium, last time out at Oulton Park. But they endured a more difficult start to proceedings this time round, with Friday testing hit by rain disruptions and taking place in mainly wet conditions. When qualifying began on Saturday morning, the sun was out and track dry, with Cian only managing a fifth place position after being stuck behind traffic. Patrick, Baptiste and Phillip, finished P7, P8 and P9 respectively. Cian got off to a flying start in the first race however, powering into fourth by the first corner. He kept pressure on the leading three throughout, before executing a brilliant overtake to take third near the end of the race. Baptiste also got off to a great start, racing into sixth and managing to stay there at the end, with Patrick seventh and Phillip eighth. Cian began the second race in second, again getting a great start and overtaking on the outside on the back straight to take the lead. A number of safety cars meant only four laps of racing actually took place, with Cian keeping his position at the end and Patrick taking sixth this time. Unfortunately, after one of the restarts Phillip’s car went into a spin, hitting Baptiste who was behind him – and while he managed to go on to finish the race, it left his teammate with a DNF. Cian was on pole for the final race and got a good start, but while he managed to pull away he was soon closed down and involved in an exciting race-long battle, with the lead swapping several times. 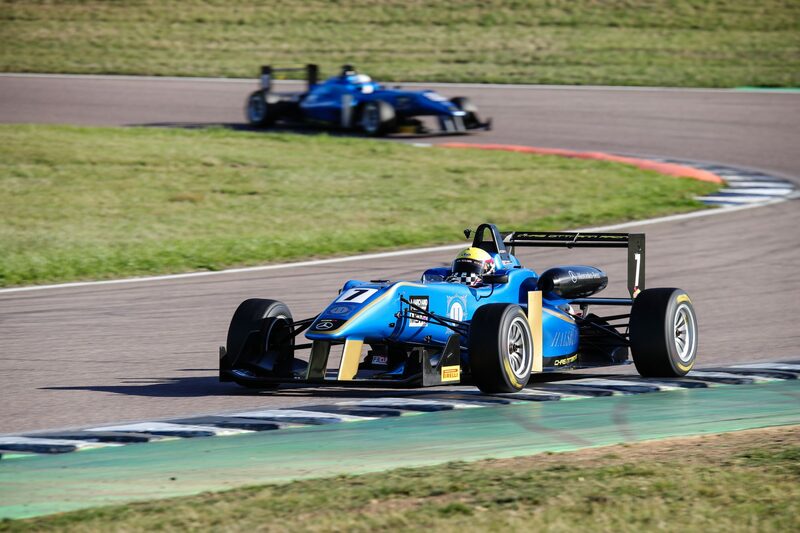 But the young driver kept his nerve and concentration to defend well and withstand plenty of pressure to take the win by less than a second at the end. Patrick showed more improvement to finish seventh and the team did a great job to get Baptiste’s car back on track in time for the final race after the collision before, for him to finish eighth, while Phillip had to retire with a small electrical problem. The weekend finished with Cian taking a 27 point lead in the Championship, with Patrick in sixth, Baptiste in seventh and Phillip ninth. 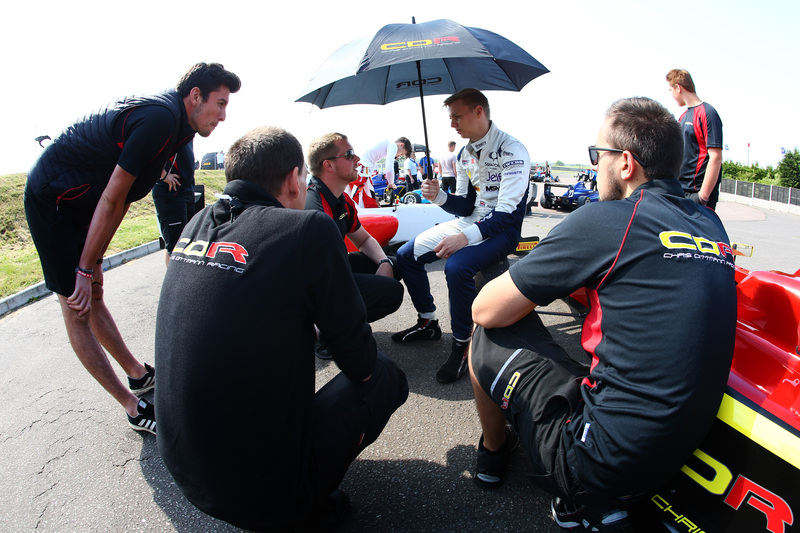 Chris added: “Cian is in a great position now with two race weekends left. He’s doing everything right and now needs to continue taking every race as it comes.